SUPER-BRIGHT: 1000-lumen (max) Cree LED sweeps bright light over the length of about two football fields (660 ft / 200 m) and reaches nearly 1000 ft. 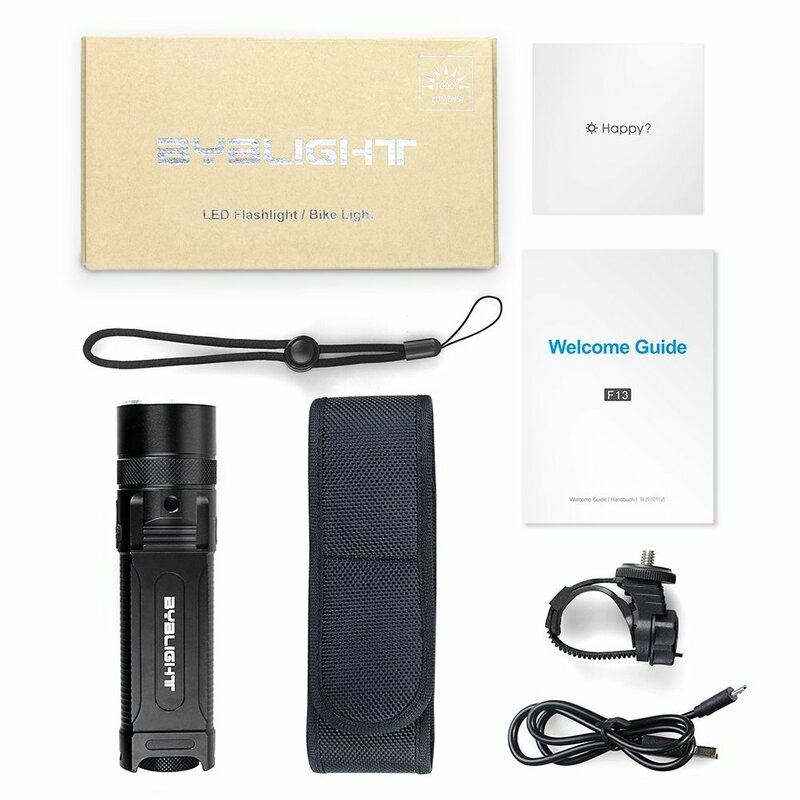 Features 4 adaptable settings: High / Medium / Low / Strobe..
LONG-LASTING: Up to 8hrs of 1000 lumens powerful from the included 2 premium rechargeable 18650 batteries, High-quality LED guarantees an incredible 50,000hrs lifespan. 6hrs for fully charged with the included USB cable. TOUGH & RELIABLE: IP65-rated water resistant means it can be used in heavy rain. The die casting process ensures each torch is made with supreme structural integrity and has 200% the strength of an ordinary flashlight that consists of 3 separate parts. 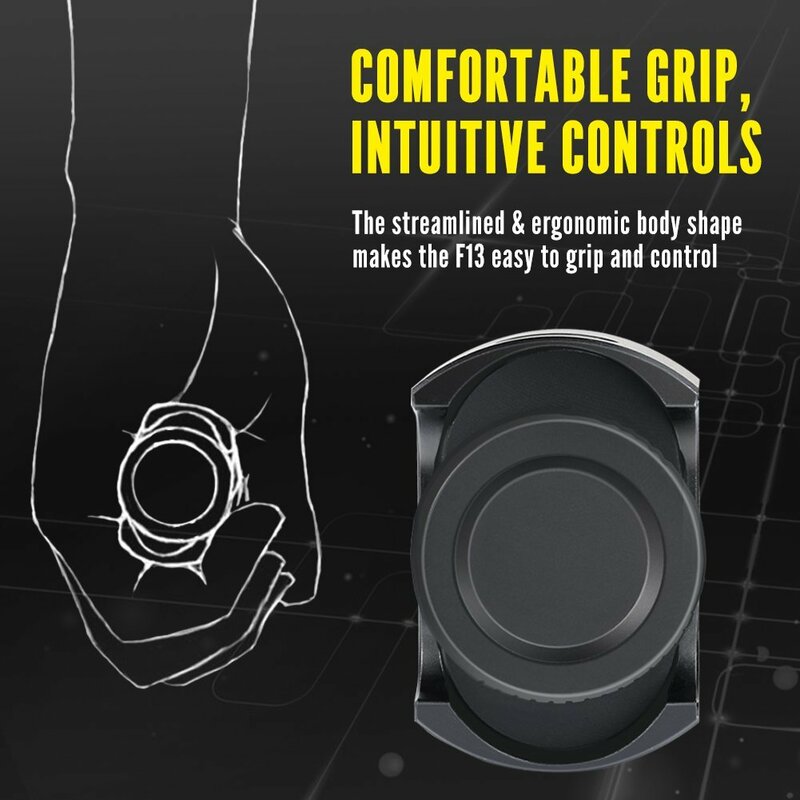 SMARTER DESIGN: The streamlined and ergonomic aluminum body shape promise the light extremely easy to grip. Flat rear capability allows it to stand firmly as an emergency light for full-room illumination. 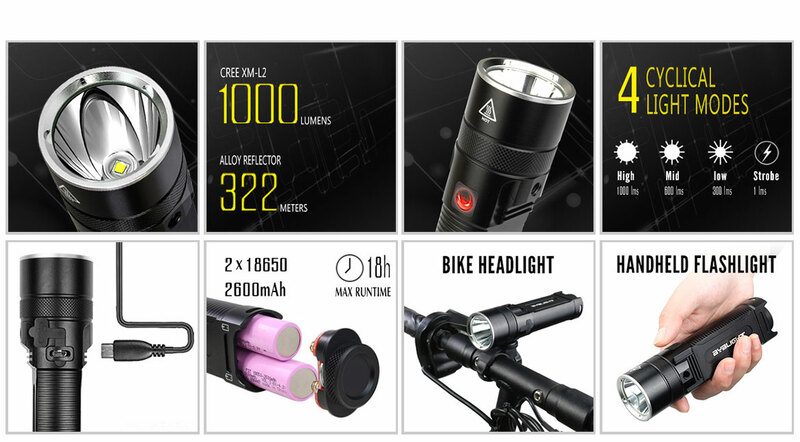 MULTI-USAGE: Provided NEW REDESIGNED mount guarantees it to fit ALL bikes, means you can use it as bike light in any conditions as well as flashlight. No extra Tools needed. Only 50% the price of nitecore EC4 flashlight but same features. Blotting all dark shadow out, ensure your safety but also feast the riding delight. Extremely lightweight, heat distributed effectively, compact and robust for the revolutionarily incorporate die casting into making a flashlight. The inner coherent side by side technology ensures 2x 2600mAh lithium-ion batteries installed with no gap in between, 37% smaller than original. 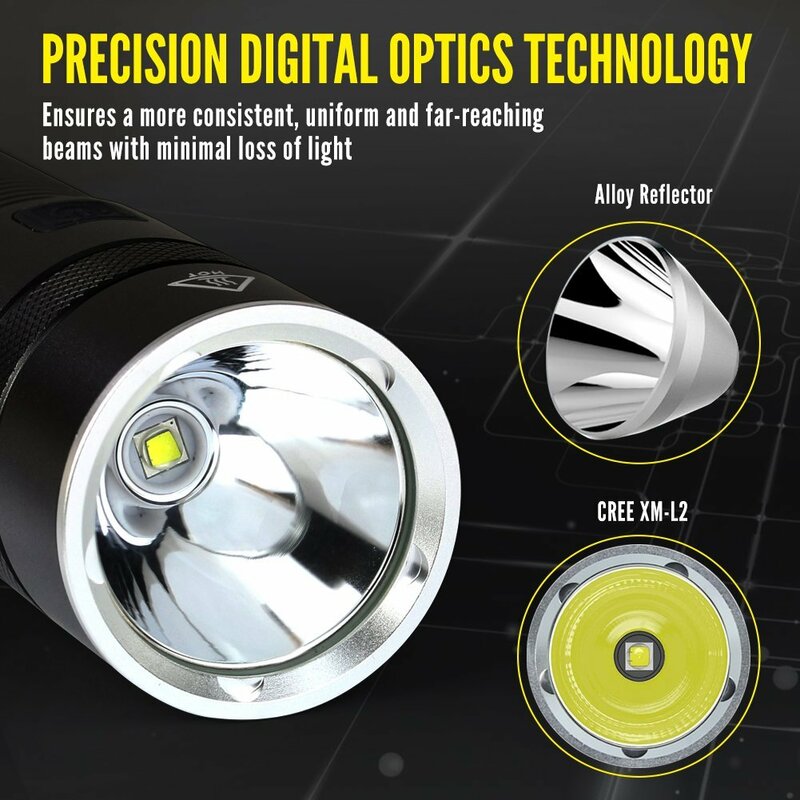 Integrated precision digital optics technology provides extreme reflector performance, maximize the usage of lighting. High-quality Cree LED promises sweeping 1000 lumens brightness and boasting an extended 50,000 hour lifespan. Multiple 4 lighting modes ensure F13 suitable for any conditions illumination. Flat rear design makes it can be use as an emergency light source. IPX6 water resistant good for using in heavy rain. Double-side dimples ensure sweat exudes through effectively, no risk of slipping out of hand. We always seem to have a shortage of flashlights. I came across this bike light and thought it would be nice for my daughter since she is riding more at night. The sun is setting early so it is generally dark around 5pm. This light by BYBLIGHT seemed perfect. Their brand is a cut above anything I have ever used which is why I keep coming back to them. This light is up to 1000 Lumens which is plenty bright enough. There are four settings you activate by toggling the power button. The button is on the side of the light rather than the end. There is HIGH, MID, LOW, and, STROBE. I have seen a lot of strobe bikes riding around at night so I like that feature. 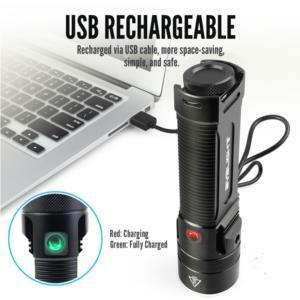 This light comes with two 18650 batteries which recharge easily by simply plugging in the light with the provided USB cord to any USB outlet you have. Pretty awesome!! 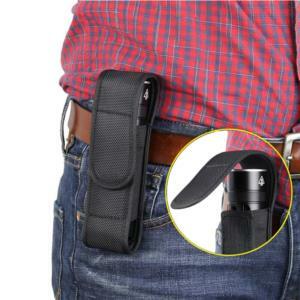 You will also find included a holster, the mount that will attach to your bike, and a detachable carrying strap. 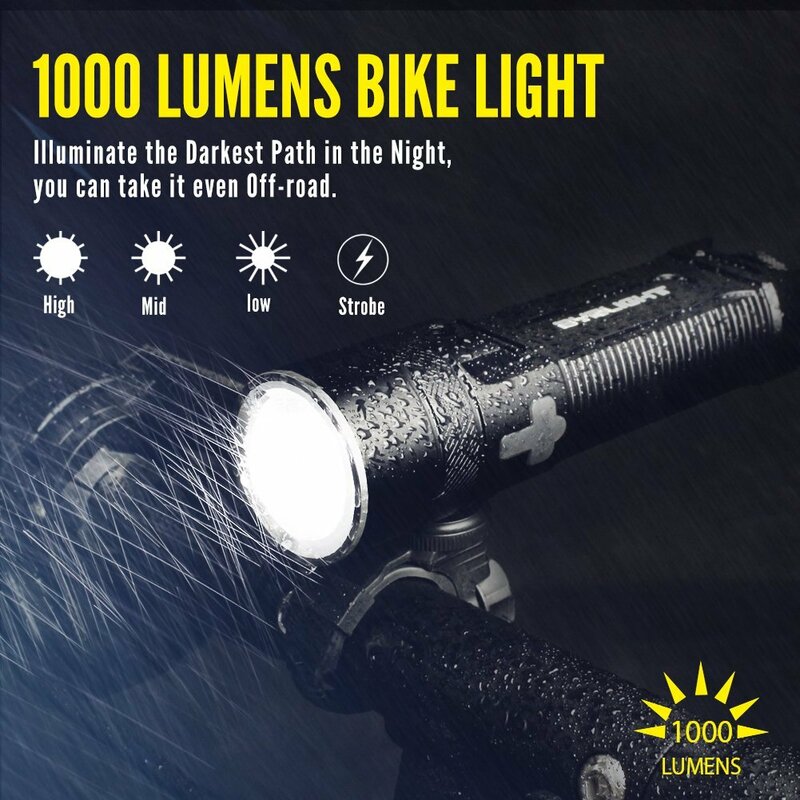 This light is multipurpose so you do not have to attach it to your bike. It is an outstanding flashlight to use anywhere. There is some weight to it but it isn’t overly heavy. You know you have a solid product. The Cree XM-L2 LED light provides a serious long-range beam. I have provided a few pictures of my near pitch-black back yard. The battery lasts for about eight hours. I can say we have been using it for a week now and it hasn’t needed a recharge yet. It is also weather resistant making it a good choice to use if it is raining outside. Overall I am super impressed with this light. I am not sure if my daughter will keep it on her bike long-term, but it is a great safety accessory to have after dark. 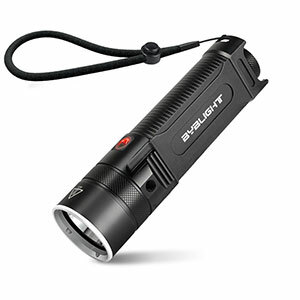 Regardless, it is a perfect mid-size flashlight to have for your car, home, or travel. 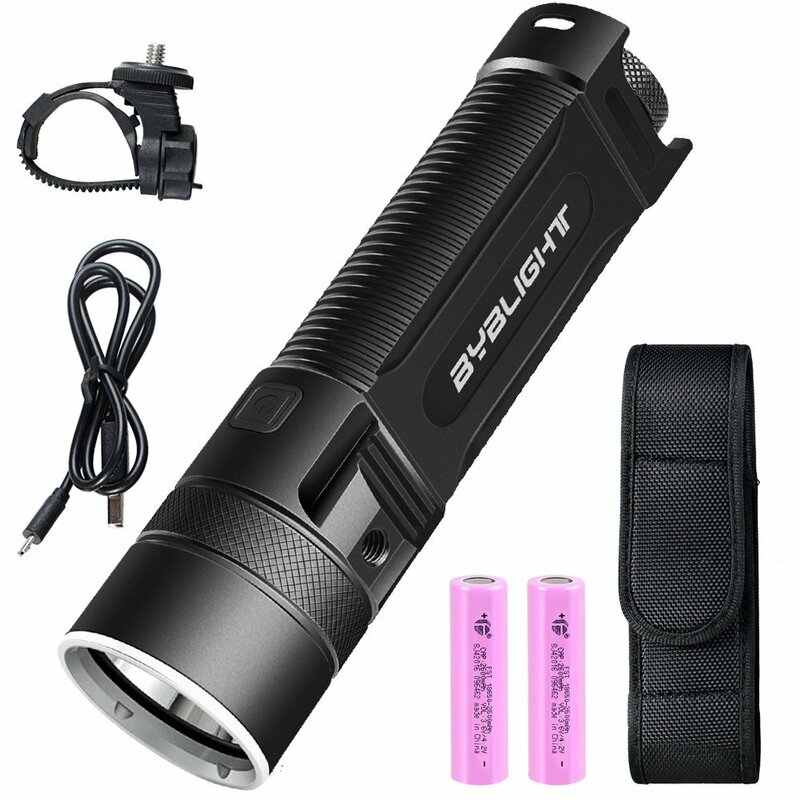 Long lasting batteries and very bright flashlight! I purchased this flashlight because I wanted to bring it along to the beach where we could walk at night and see everything. It did the trick for us and allowed us to see perfectly clear while we were walking. 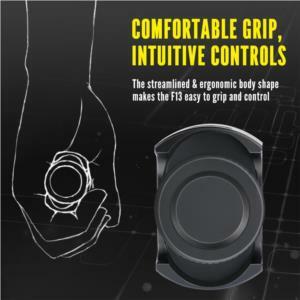 It has the perfect grip for my hand and is comfortable to hold. It is a solid flashlight and does not feel cheap in any way and you could probably throw this thing and would not hurt it. 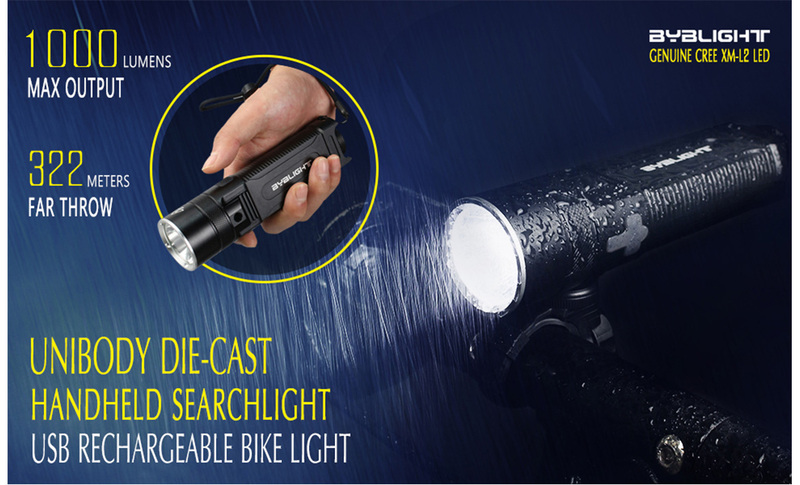 I like that it also comes with a strap that you can attach to your bike handlebars to use as a bike light and after using it on the beach I feel it would be perfect for that use as long as it is not pointed in anyone's eyes. It will definitely blind you. This set also comes with a a belt holder for the flashlight which is handy. I like the fact that it uses two batteries so you have an extended time to use it. I used it for a solid hour two nights on the brightest setting and the batteries are still going strong. This model has three brightness settings a low, medium and high as well as a strobe setting. This model does not zoom in or out but in my opinion it has the perfect sized beam for my use.